Kingdom Come Deliverance: A medieval ballad. The author and publisher in one person, the studio Warhorse Studios, since 2011 has overcome many difficulties, including financial ones, until in 2014 it became clear that the game Kingdom Come Deliverance will be released. It will happen no earlier than the summer of 2016, but numerous trailers, screenshots and interviews of representatives of the company give an idea of ​​the gaming product. 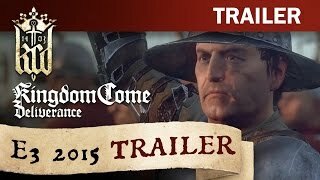 A volumetric open world, a rich storyline, the presence of numerous non-player characters, the capabilities of the lead character, on whose behalf and to plunge into history, arouse curiosity, and many have already decided to Kingdom Come Deliverance download. True, only the alpha version is available, in which there is no combat system and many other functions, but you can wander around the village, chat with its inhabitants, explore the store. Fight for the Bohemian crown. Henry is the blacksmith's son and lead character. The occupying soldiers have dealt with his family, and now he is driven by revenge. Vatslav IV is the crown prince of Bohemia’s throne, but enemies kidnap him after the king’s death so that he cannot take the throne. Sigismund, the cunning brother of Wenceslaus, who invaded Bohemia with an army in order to seize power. The abduction of the prince of his hands is the business. Sigismund, seizing the throne, began to tyrannize the people of the country and plunder its lands. Henry wedged in the events, having closely accepted not only the death of his family, but also the unfair attitude towards Wenceslas. Now the blacksmith is ready to avenge himself and the crown. If the family can not be returned, then restore justice in the country in his power. Players will be able to choose the profession of a thief, bard or warrior, as well as combine their skills. Characteristics of the hero will grow as you progress through and interact with the characters. Dialogues allow you to get information and tasks, and your reputation will change, depending on whom and in what way you decide to help. You can fight on horseback, and if you need to call the horse, it is enough to whistle, and a faithful partner will overcome obstacles, but will find a way to the owner. The horse will surely serve not only in the battle on it you can carry heavy things. To support the hero's strengths, you will have to feed him, change worn out clothes, repair weapons and armor. 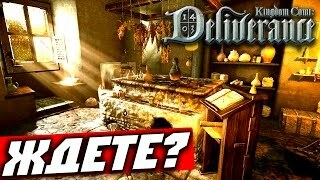 For this, Kingdom Come Deliverance on PC has developed various ways, for example, Henry can steal, construct a new thing from assembled parts, fish, open chests, cook alcohol, food and medicinal elixirs. You are waiting for large-scale battles and capture of the castle. The hero must gain enough experience to combine strikes, and use the appropriate weapons in various situations. Pore Kingdom Come Deliverance buy buy by pre-ordering the selected version of the standard or with additions.